Here's my 1/10 scale form as it is today. I think I've gotten what I needed out of it. There are some changes I need to make to my tracings, but overall I'm happy with the shape and how everything fits together. Next step is to decide what type of wood to use for my full scale buck and adjust the slots accordingly. I'm thinking something like 3mm plywood, but I'll have to see what my local hardware store has. Also, the chassis steel is here. It came in tough 6" cardboard tubes. If they were closer to 8" I could have used them as interior frame rail forms to cover with carpet. Oh well. If some people are interested we are developping a Tipo 33 Stradale chassis as close as possible to the original ones in aluminum alloy !!!!! All this does it help the crooks pass off a replica as a real one ... yes I am aware the original were magnesium but one of the good things about the complexity of the originals is they were hard to replicate. I can see the ad now "unknown to many, recently it was discovered that Autodelta made a few chassis out of aluminium ... this is one of those rarer cars"
While I would love to own a T33 or GTA, worrying about some crook taking my chassis number for their replica would keep me up at night. Why should I have to hire the lawyers and defend my original car. This is why, while I respect companies like Alfaholics, I really wish they would not make the alloy panels ... just helping the crooks IMO. The discussion about replicas is a complex emotional one, for sure! Last edited by PSk; 08-23-2018 at 11:51 AM. I understand what you're saying, and I completely agree, but I just wanted to make the correction that only the front frame section and the rear "legs" (?) were made of magnesium, the central H shaped tube section was made of 200mm aluminum tubes, which had rubber bladders in them to act as the fuel tank. I know that's not the point, and that is one of the reasons why I'm using a space frame chassis, in addition to being easier for me to build myself. I'm not trying to pass mine off as a real Stradale. Maybe if I manufacture the body shells I'll have "NOT THE REAL THING" molded into the insides of the clamshells! Last edited by punkt; 08-23-2018 at 12:20 PM. Sleep without nightmares PSk, T33 chassis and bodies are impossible to replicate at serious level. 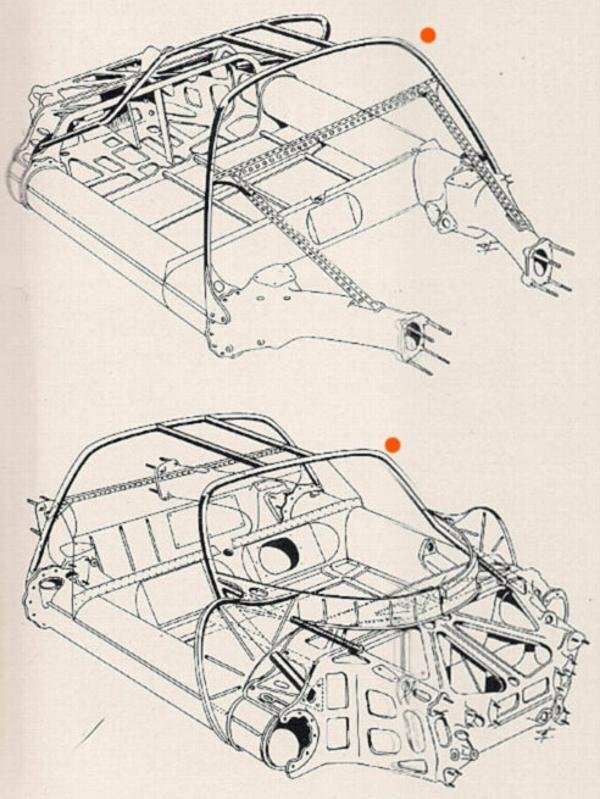 And to correct you; the chassis of Stradale was not in magnesium (magnesium H cell, shorter 10 cm, was for racing model). Central cell is in steel, front and rear bulkhead in Elektron alloy and some stressed details in steel framing. Some good replicas were produced by Giordanengo but with large use of original chassis and engine spare parts, and with Chiti’s initial involvement. Those are the only versions close to the authentic Stradale, but strictly signed as replicas by Giordanengo (no Alfa badge nor VIN) at the time of built (one was offered for sale recently by Koy’s, I think), and produced in no more than six examples through the years. Almost all Stradales are registered (for two examples there is still uncertain history) and that is the best warranty for its future. I haven't posted an update in a little while. I have come up with a cut list for the lower part of the chassis, so I'm going to start cutting some tube early next week, and hopefully start welding later in the week. 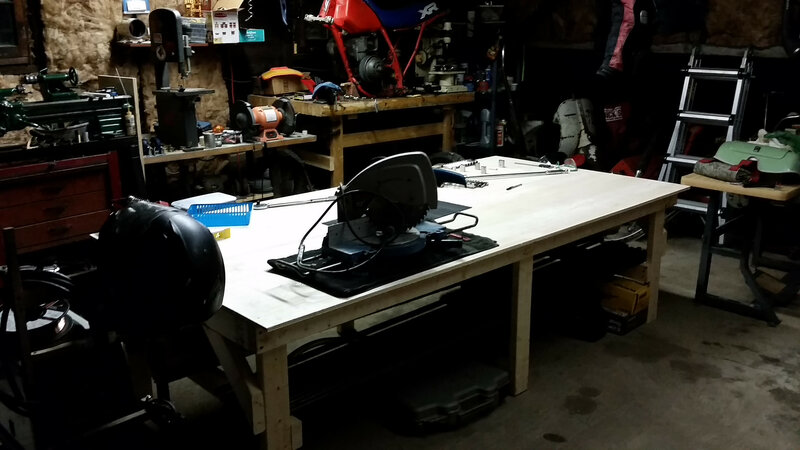 I built this table so that I have a large, flat, level surface to clamp to and weld on. As far as body stuff goes, I'm working on building a simple string plotter style CNC machine to start cutting out full size plywood forms for the bucks. I'm going to have 7 molds total, front clamshell, rear clamshell, main cockpit area, right door outer skin, left door outer skin, and also inner panels for the doors. I'm also going to design a fiberglass piece that would include the dashboard and center console. In the meantime I've been reading up on making fiberglass parts using the vacuum infusion method and buying tools. I bought a Hobart MIG welder for the chassis, and I'm going to be buying a vacuum pump soon for fiberglass work. Other than preparation for actually building the thing, there isn't too much progress to report. Stay tuned, things are gonna get messy pretty soon. 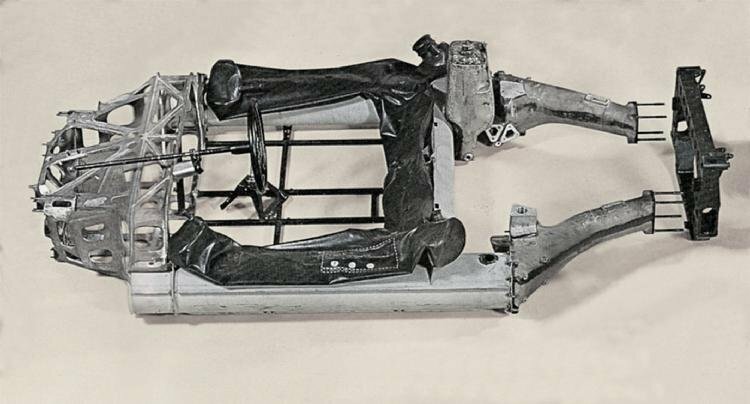 The magnesium chassis parts, although it sounds advanced, was not a success as the A-arm supports broke in racing at they were not sturdy enough on the racers. The Stradale were raced also, but have not heard of such mishaps on those. Anyway using other material is advantageous! 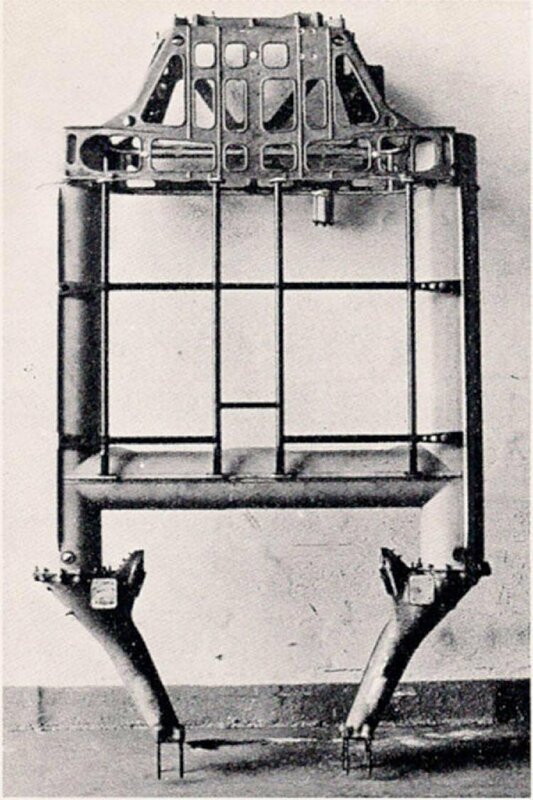 This brittle chassis resulted in that the next racer chassis was based on steel tubes - tubular. With regards to engine instead of expensive V8 engine I would suggest a Lancia Thema 2L turbocharged engine which can reasonably be tuned up to 250- 300 or 400Hp, depending on tuning grade. Considerably more Power than the 33 Stradale engine. Quite usual to use this engine in Lancia Stratos replica Projects. An interesting part of this is that this engine was also used in the 164 2L turbo with original Alfa cam covers! If you can get such an engine! Unfortunately I'm located in the United States so that engine is not available unless I ship it from Europe. I'm probably going to use an Alfa Romeo V6, as they can be had for not a lot of money here. I'm probably going to use an Alfa Romeo V6, as they can be had for not a lot of money here. It is not hard to get 250+ HP from a 3L naturally aspirated street motor. 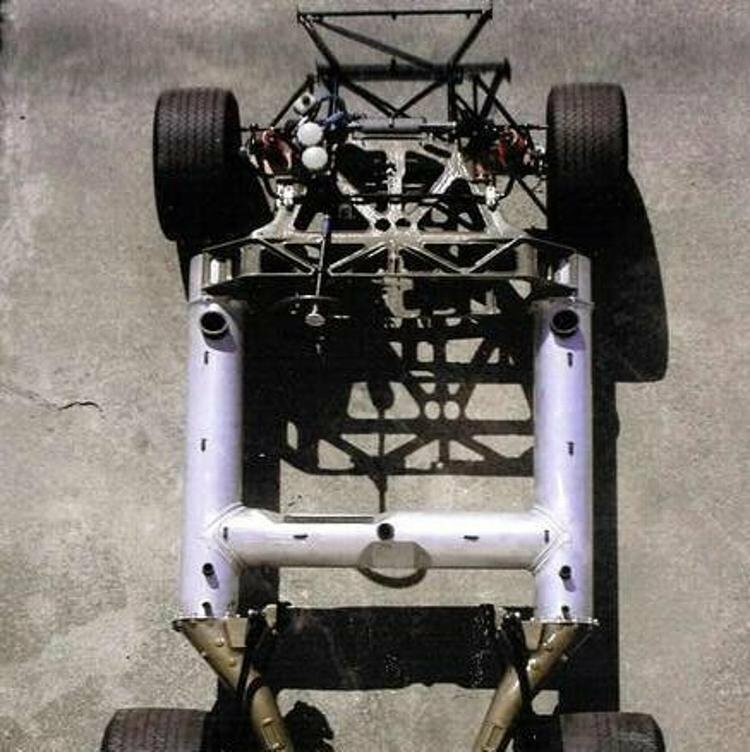 Are the the rear chassis legs not symmetrical? I believe the originals were made by an aeronautical firm. im in agreement with you argtareg... there are replicas and there are REPLICAS ! Though the front bulkhead (a true masterpiece of fusion made by Campagnolo from Vicenza), was produced in basically Magnesium alloy, it was signed as Atesia (German name Elektron) Aluminium based alloy, to distinguish it from central H cell called Magnesium alloy and different in composition. The whole structure was stiff to a good level, and support failure of the front suspension was rare and only occasional. The problem was badly conceived geometry, suspected and denounced by Chiti from the beginning of the project. 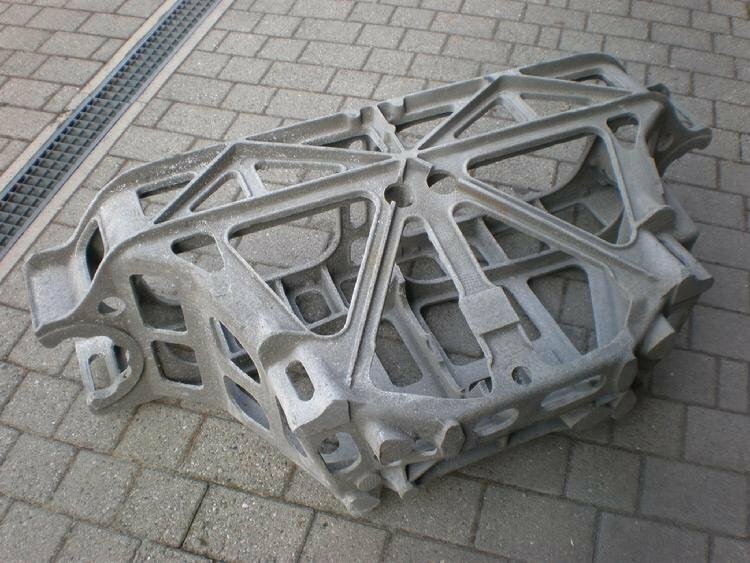 The later design over new chassis design (older in concept but lighter and with major torsional stiffness) was completely different and worked efficiently on 3L versions. The Stradale chassis was steel based (longer) H cell and substantially same front bulkhead and rear “legs” as on the competition version, that finished with steel box bulkhead. Problems with supports or suspension failures on Stradale cars were not described as such. Here are both, competition (with visible riveting) and Stradale (welded) chassis in phase of production at Settimo Milanese Autodelta factory. Also present photos of front (weak) suspension solution on 2L model. Interesting photos of those chassis parts, ARGTA Reg. Maybe you have photos of those broken chassis parts also for reference? I have seen somewhere, so you must have then? Any chance you are going to share information or is it just going to be a build thread? I am also interested in building a 33 Stradale replica, and I am currently at the process of drawing the contours for the body.